"In addition to being one of the most unique producers in contemporary music, (Iggy Pop, Herbie Hancock, George Clinton, the Rolling Stones, Laurie Anderson), Bill Laswell is also one of the world's most original and creative bassists. Here he brings his prodigious technique, massive sound and renegade conception to the fore in this intense and virtuosic outing for solo bass. Armed with four-string and eight-string bass and a barrage of effects and distortion boxes, his skill as a player has never been more evident. A dynamic follow-up to his 1999 release Invisible Design, this is an intimate view into the mind of one of the greatest musicians of our time." Originally released in 1997 on Sub Rosa, now reissued. American bassist Bill Laswell (Praxis, Massacre, etc.) is the founder of "collision music" -- a collaborative concept that brings together musicians from divergent instrumentations and backgrounds. City of Light is about Banaras, a city older than history, tradition, way beyond legends. It is Shiva's land, founded at the dawn of creation. It is India's oldest and most fabled city. The Hindus call it Kashi, the luminous... The City of Light. This release features a truly stunning and contemplative merging of Eastern and Western sounds: from tabla to ambient drone and field recordings, in collaboration with some of the best experimental minds. Featuring Lori Carson, Coil, Trilok Gurtu, Tetsu Inoue, Hakim Bey. Recorded in Banaras, India, and mixed at Greenpoint Studio in Brooklyn. India meets New York in the industrial darkness. Originally released in 1999 by Sub Rosa, now reissued. Hashishisheen -- The End of Law is one of Bill Laswell's best-known masterpieces of ambient spoken-word. The works of William S. Burroughs and collaborator Brion Gysin are the main inspiration and key to the initiation of The Hashisheen project. 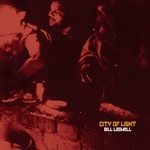 Through immense exposure to their innovative experimentation, Bill Laswell developed a strong interest in North Africa, Arab culture, Islam, the Tangier scene, the Master Musicians of Jajouka, Paul Bowles, ritual magick, drugs and travel; and discovered their obsession with the wild heretical actions of the Persian-Hassan-i-Sabbah, who claimed to be the incarnation of God on earth -- Hassan, son of Sabbah. 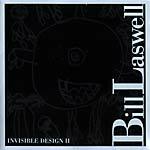 Featuring the music of Bill Laswell, W.S. Burroughs, Iggy Pop, Techno Animal, Patti Smith, Lizzy Mercier-Descloux, Genesis P-Orridge, Jah Wobble, Paul Schutze, Anne Clark, Hakim Bey, Nicky Scopelitis, Peter Wilson, Nicole Blackman, Ira Cohen, Helios Creed, Anton Fier, Sussan Deyhim and Percy Howard III. "Bill Laswell's Drum'n'Bass odyssey started in 1996 with release of the album Oscillations, some ambitious work based on hardstep kicks challenging rumbling basslines and Indian influences. Treated in a open minded fusion-like approach, this material -- was and is still -- considered as a classic. So are the two other volumes: Oscillations 2 with its more jazzy-dark-chill approach, and the Oscillations Remixes featuring some wild re-interpretations by artists such as Nico, Atom Heart, Dj Grazhoppa and UI. This trilogy is now available only as a 2CD set including the entire Oscillations 1 & 2, plus a selection of the finest cuts from the remixes album, plus a new one from N-Y's Spectre. This is Final Oscillations, nothing more to say, the music is speaking for itself in this new mastered edition."